Would you dye your hair blue for $500? Would you ever eat frogs' legs? Would you rather make a lot of money at a job you hate or a little money at a job you love? B.F.F. 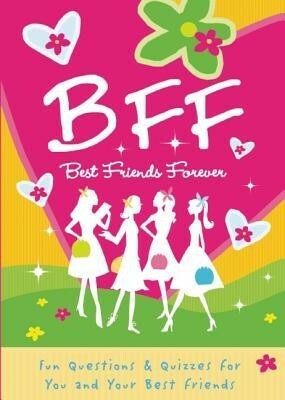 is filled with hundreds of hilarious, fun questions and fill-in-the-blanks that up to four best friends can fill out. They’ll learn about each other and laugh for hours. Silly, quirky, and funny questions about fashion, friends, food, sports, love, dreams, likes and dislikes, and more will help girls find out what they never knew about their closest girlfriends. This the perfect book for parties, sleepovers, school lunch breaks, road trips, and more. Girls will love quizzing and bonding with their best friends! I'm the author/artist and I want to review B.F.F. Best Friends Forever.